In 1988, the D&RGW consolidated operations with the Southern Pacific and the combined roads adopted the historic Southern Pacific name. The years immediately following were an exceptional time on the famed Soldier Summit route – and now, Soldier Summit & Salt Lake City Route Extension Scenario Pack 02, from High Iron Simulations, brings this exciting and unique era to vibrant and realistic life! During the late 1980s and into the 1990s, Southern Pacific dramatically expanded the amount and variety of rail traffic moving over Soldier Summit and, in a boon to train-watchers, Southern Pacific and D&RGW-liveried locomotives worked side-by-side on the legendary route. 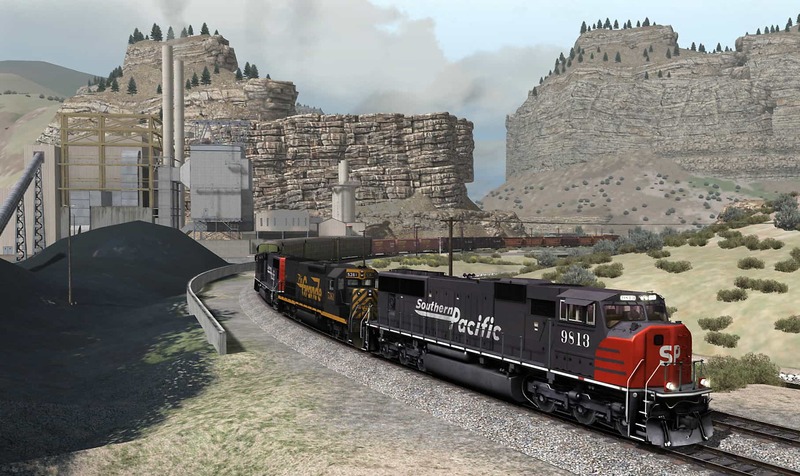 In ten challenging career scenarios based on authentic Southern Pacific/D&RGW operations and train symbols of the period, High Iron Simulations’ latest scenario pack will put you to work during the captivating “SP era” over the 118 miles of Train Simulator’s Soldier Summit + Salt Lake City Route Extension extending from Salt Lake City to Helper, Utah. 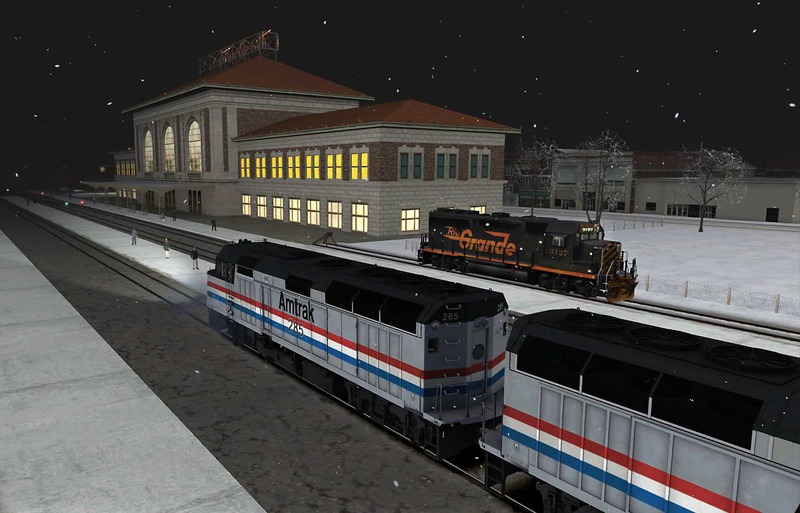 Soldier Summit & Salt Lake City Route Extension Scenario Pack 02 delivers the authentic challenges of handling diverse duties ranging from hotshot Southern Pacific manifest and intermodal trains to coal drags, locals, switching assignments, and even Amtrak’s elegant California Zephyr. You’ll travel across the length of the line, from Helper and imposing Soldier Summit over the Wasatch Mountains to the lush Salt Lake Valley and to yard and industrial settings in Provo and Salt Lake City -- and you’ll take the throttle of a variety of memorable Southern Pacific and D&RGW diesel power! 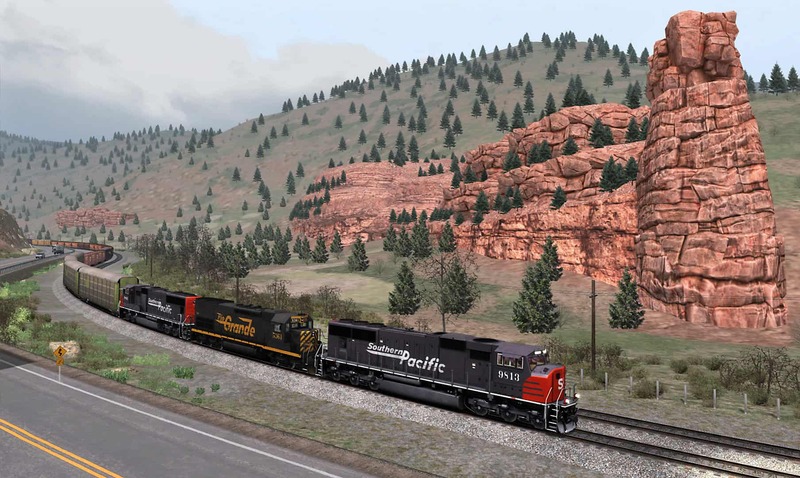 In Soldier Summit & Salt Lake City Route Extension Scenario Pack 02’s three-part scenario “Southern Pacific DVROM,” you’ll take the controls of SP symbol freight DVROM (Denver-Roper Manifest) as it makes a challenging run over the complete 118 miles from Helper to Salt Lake City’s Roper Yard. And as typical of the era, your power for symbol DVROM is a mix of high-horsepower SP and D&RGW diesels. Double-stack traffic was a rarity on the D&RGW main line but beginning in 1990 Southern Pacific symbol train CHSZT operated via Soldier Summit en route from Chicago to the west coast. 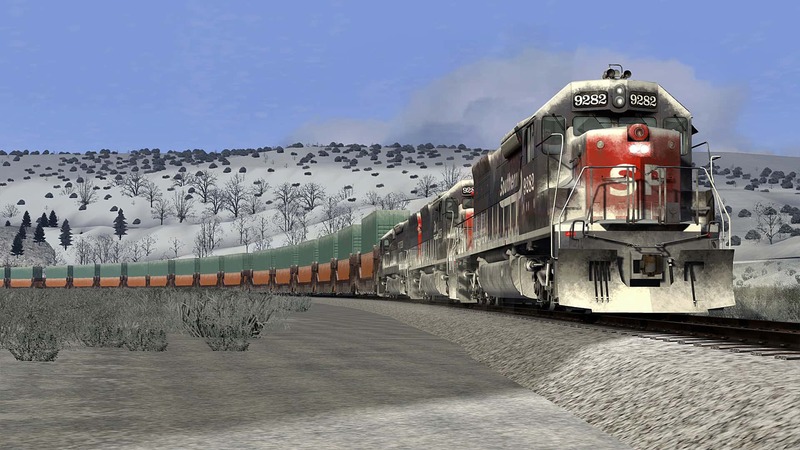 In the scenario “Southern Pacific CHSZT,” you’ll have a trio of SP’s powerful EMD SD45T-2s on the point as you hustle the priority stacks through the snowy Salt Lake Valley. 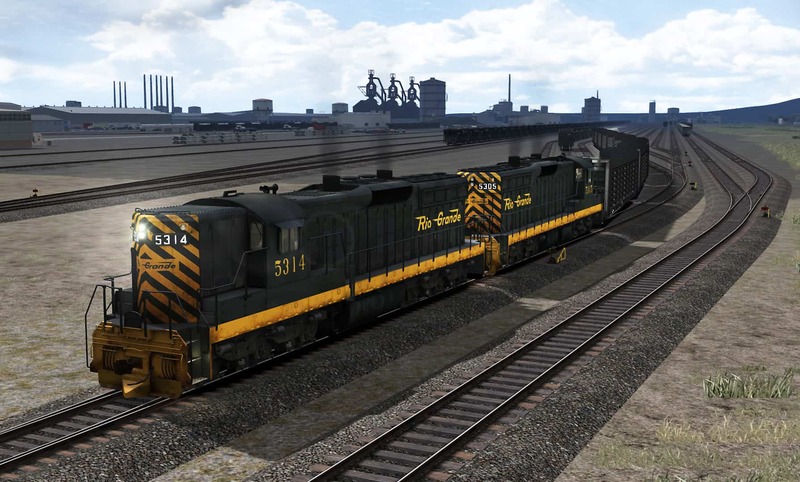 Soldier Summit & Salt Lake City Route Extension Scenario Pack 02 brings you three career scenarios that re-create the experience of handling D&RGW’s venerable EMD SD9s and GP9s during their final years in service. For more than half-a-century, the massive steel works at Geneva, Utah, north of Provo, was a major source of inbound and outbound tonnage for the railroad. 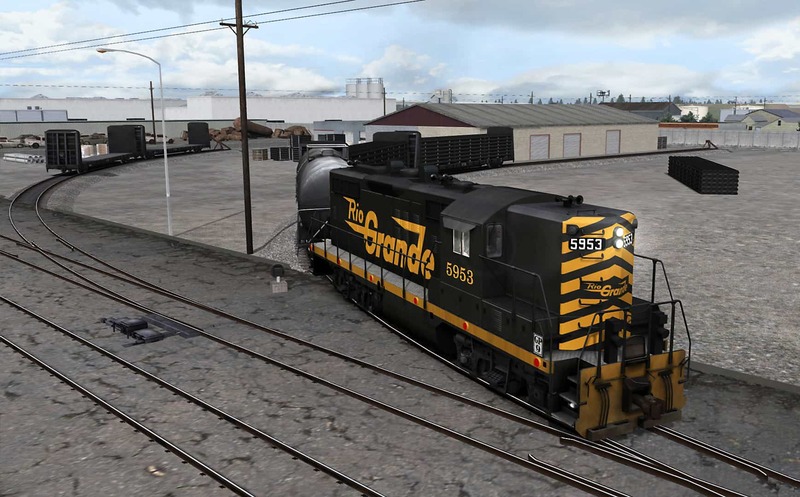 In “Geneva Turn,” you’ll depart Provo Yard with dolomite loads and empty mill gons bound for Geneva, then make pick-ups at the steel works and return to Provo. In the scenario “Local UT04L,” you are called as engineer of a local job making pick-ups and set-outs at the Nash Quarry near Riverton before continuing southbound to Provo Yard. And more challenging switching duty awaits you in the scenario “Salt Lake City Morning Switcher” as you work with a veteran GP9 to make set-outs and pick-up amid the city’s complex urban trackage. Note: This pack requires the Train Simulator Soldier Summit + Salt Lake City Route Extension. 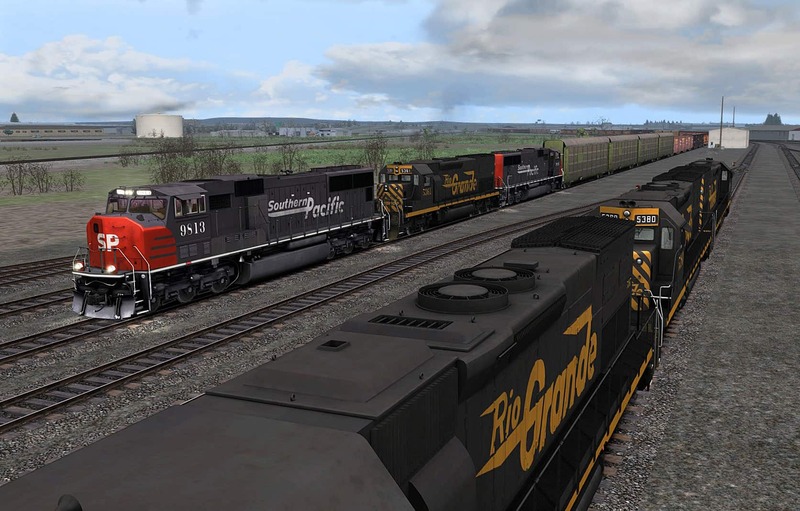 Individual scenarios also require the Southern Pacific SD70M Loco Add-On; GP40-2 Loco Pack Add-On; D&RGW SD9 Loco Add-On; and/or the Southern Pacific SD45T-2 Loco Add-On (DTM). All required content is available at the Steam Store. Soldier Summit & Salt Lake City Route Extension Scenario Pack 02 brings to life the extraordinary Southern Pacific era on Soldier Summit! 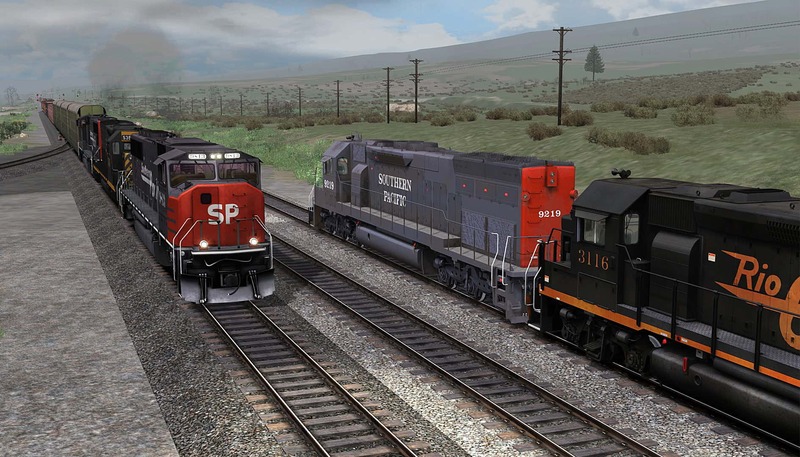 From High Iron Simulations, this new pack features ten realistic career scenarios that put you at the throttle for manifest, intermodal, coal, local, and switching duties across the 118-mile length of Train Simulator’s Soldier Summit + Salt Lake City Route Extension. 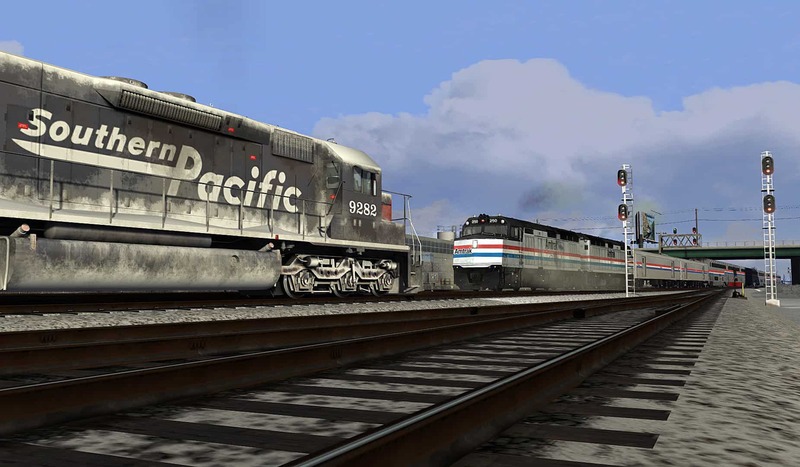 In the three-part scenario “Southern Pacific DVROM,” you’ll handle SP symbol freight DVROM (Denver-Roper Manifest) as it makes its run from Helper to Salt Lake City’s Roper Yard. With an SP EMD SD70M leading the way, DVROM twists through Castle Gate (above) on Soldier Summit’s east slope and passes below rocky spires on the west slope near Narrows (below). Screenshots by Gary Dolzall. In 1990 Southern Pacific stack train CHSZT operated via Soldier Summit en route from Chicago to the west coast. In the scenario “Southern Pacific CHSZT,” you’ll have a trio of SP’s powerful EMD SD45T-2s on the point as you meet the eastbound California Zephyr at Provo (above), then hustle the priority stacks through the snowy Salt Lake Valley (below). 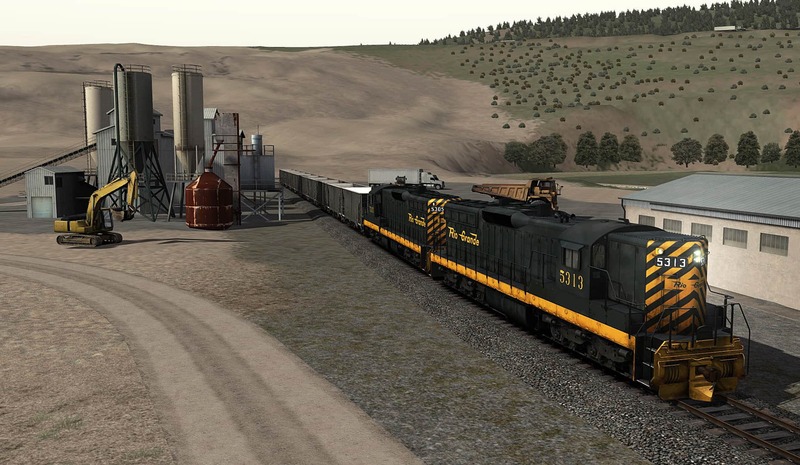 Soldier Summit & Salt Lake City Route Extension Scenario Pack 02 includes two career scenarios that re-create the experience of handling D&RGW’s venerable EMD SD9s. In the scenario “Local UT04L,” you are called as engineer of a local job making pick-ups and set-outs at the Nash Quarry near Riverton (above) before continuing southbound to Provo Yard. And in “Geneva Turn,” you’ll depart Provo Yard with dolomite loads and empty mill gons bound for Geneva Steel (below), then make pick-ups at the steel works and return to Provo. More challenging switching duties, this time amid the tangle of tracks and street-running in urban Salt Lake City, await you in the career scenario “Salt Lake City Morning Switcher” as you employ a veteran EMD GP9 to make sets-outs and pick-ups for lineside customers. 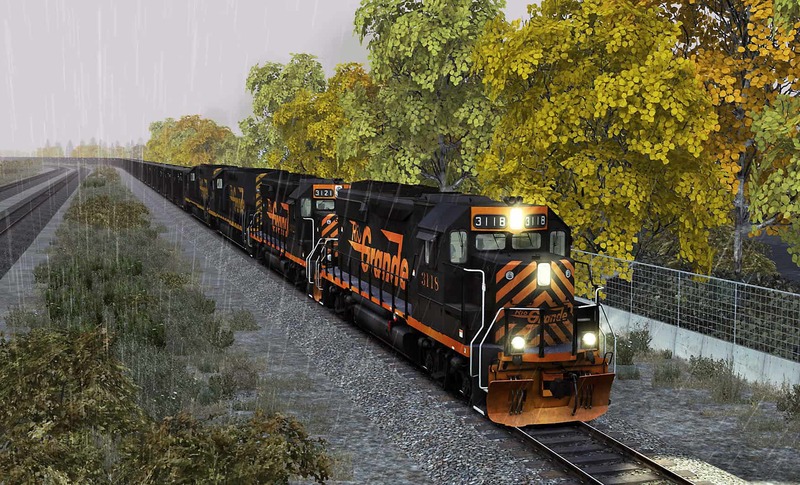 The autumn weather is rainy and miserable and the coal tonnage long and heavy in the two-part scenario “Southern Pacific SNTAC” as you handle, with D&RGW GP40-2 and SD40T-2 power, a loaded Skyline Mine-Trona (California) coal train down the west slope of Soldier Summit for a handoff to the Union Pacific’s Sharp Subdivision at Ironton. The action is brisk at Salt Lake City’s Roper Yard as SP and D&RGW power converge with inbound and outbound freights. The era of Southern Pacific operations across legendary Soldier Summit was a time of extraordinary railroading -- and High Iron Simulations’ new Soldier Summit & Salt Lake City Route Extension Scenario Pack 02, available now at the Steam and Dovetail Games Stores, puts you in the engineer’s seat for big-time railroading!